On Wednesday, UppTalk released a new update to its app which makes compatible with the iPad. The update, version 2.4, allows iPad users to make calls and send text messages using WiFi or data for those who have data plan with their iPad. The UppTalk app let users to make call to any phone numbers, even to those who are not registered with an account. The app give its users a 100 free minutes per month and unlimited texting to any mobile or landline in USA. Calling other UppTalk member is totally free with unlimited minutes. NEW! Call anyone using your iPad! 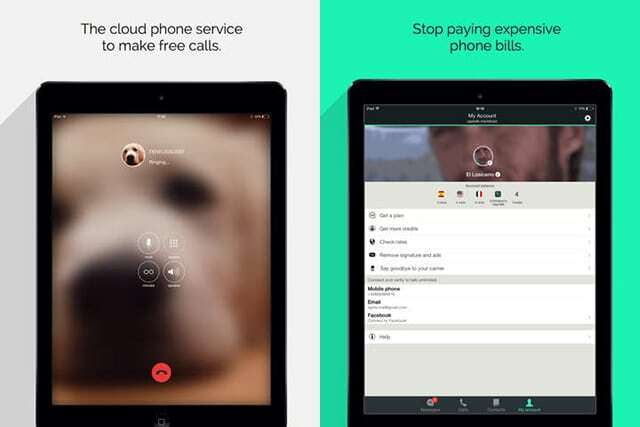 Now UppTalk is compatible with iPad, so you can call anyone even when you are only on Wifi with your iPad. And in case you didn’t know, you can transform your iPod in a phone as well. Now it’s even easier to earn more free minutes & SMS. Stop using your carrier minutes & SMS. It’s time to free your communication! The good part about this app is that it lets you do cheap intentional calls. And for those who do not no wish to pay for international calls, they can earn free credits by watching short 30-second ad videos or completing simple offers.